Il festival di arte radiofonica Radio Revolten tenuto nel 2016 ad Halle (Germania) produsse un impressionante numero di eventi nell'arco dell'intero mese di ottobre, inclusi concerti, laboratori, progetti e incontri collettivi molti dei quali trasmessi in diretta, in streaming, archiviati sul web o rilanciati da altre emittenti. Tra gli oltre settanta artisti e performer invitati c'erano Chris Cutler, Caroline Kraabel, Lukas Simonis, la Resonance Radio Orchestra, Alessandro Bosetti, Roberto Paci Dalò, Famoudou Don Moye, Hartmut Geerken, Felix Kubin, Ed Baxter e Xentos Fray Bentos. Il dibattito culturale, l'esperienza organizzativa e la cronaca di quei giorni si traducono oggi in un corposo volume per Spector Books: Radio Revolten-30 Days Of Radio Art. 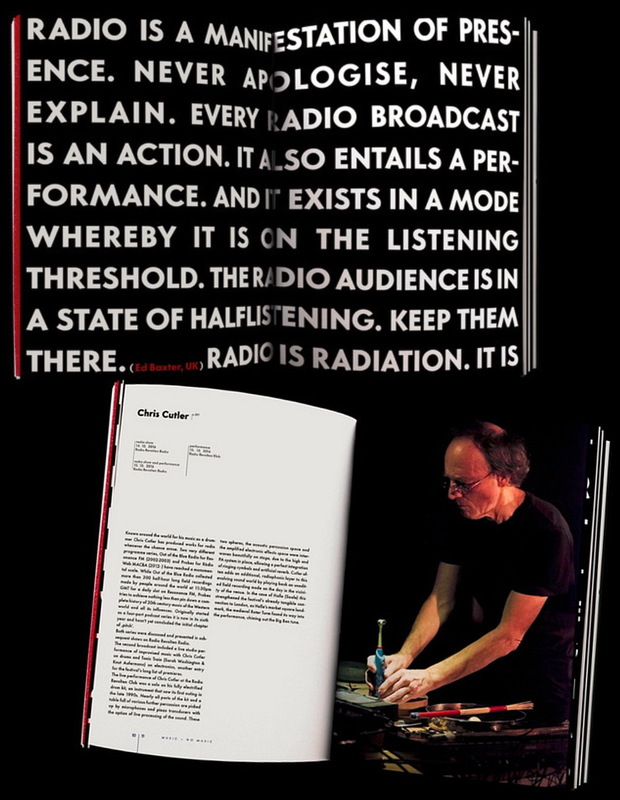 The international radio art festival Radio Revolten is to published a book on its October 2016 edition held in Halle (Saale), Germany. Hosted by the community radio station Corax who transmitted over a dedicated city wide radio art frequency, the event gathered 100 contemporary radio artists and featured installations, live performances, conferences, workshops and public interventions. 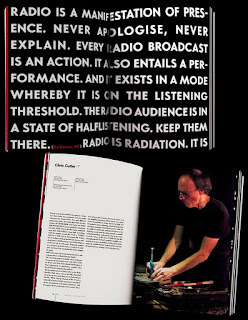 Edited by Knut Aufermann, Helen Hahmann, Sarah Washington and Ralf Wendt, the book, much like the event itself, sets to “reclaim FM radio as an open access medium for cultural use”, covering some of the festival artworks and events, and featuring articles (written in English) by Anna Friz, Hartmut Geerken, Lucinda Guy, Martin Hartung, Lukas Holfeld, Udo Israel, Tina Klatte, Michael Nicolai, Gregory Whitehead, Florian Wüst, and Elisabeth Zimmermann. It also includes specially commissioned colour photographs. It is released on Leipzig publishers Spector Books.